Black Sea house in Tsarichino village situated 3 km from Balchik and 6 km from the Black sea coast. 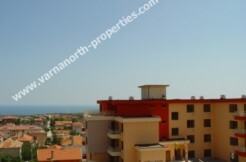 The village is situated 43 km away from Varna town and the international airport. The build up area of the house is 132 sq m. The house consists of kitchen and dinning room, living room, two bathrooms with wc and three bedrooms. The land plot of the property is 677 sq m, where a swimming-pool, garage, BBQ are built. The house is being offered completely furnished. 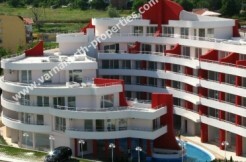 The nearest town Balchik is one of the most beautiful resorts in Bulgaria. surrounded with white-stone hills. Near there are three golf courses.